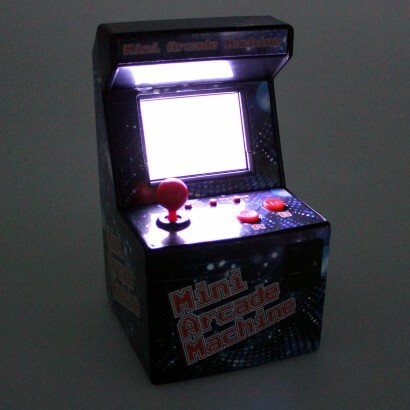 Packed to the rafters with 240 retro games, this incredible mini arcade machine takes you back to the 80's with a whole arcade's worth of games all on one mini console! 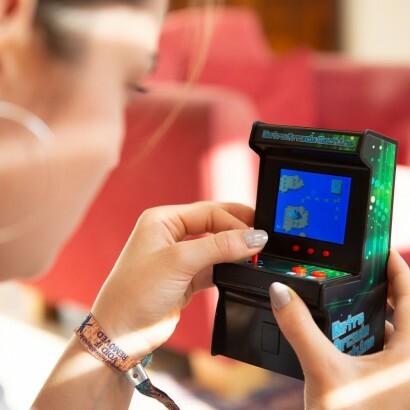 Rediscover your childhood as you choose from the widest range of 16 bit games including sports, puzzles, shoot-em-ups and arcade fantasy and rate your performance and dexterity against your formative years! 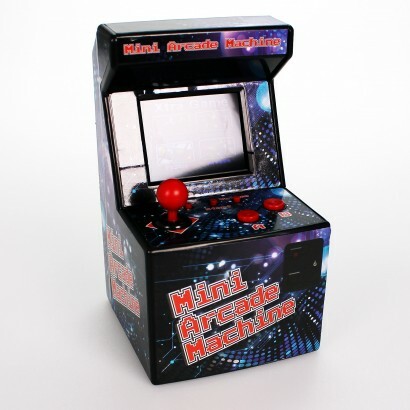 Challenge your kids to put down the Xbox controller and take on the classic arcade games of the 80's on this mini arcade complete with retro sounds! 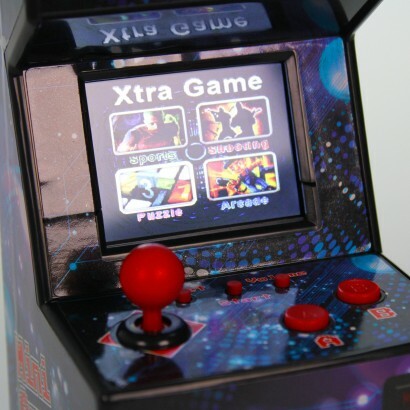 240 x 16 bit retro games built in! A captivating blast from the past!